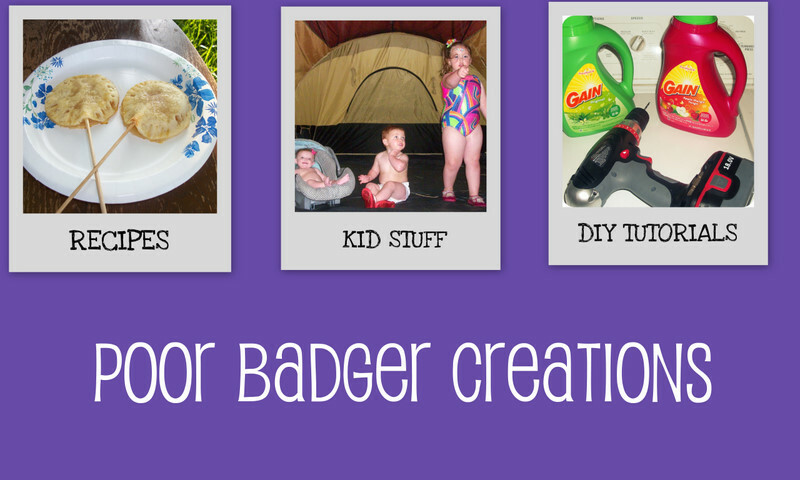 Poor Badger Creations: No mantel? No problem! The stocking tutorial on making and hanging those socks for Santa. No mantel? No problem! The stocking tutorial on making and hanging those socks for Santa. Stockings hung by the chimney with care? Not in this house of crafty loons. Christmas is slowly approaching and to me this is the saddest week. Soon all the fun crafts, food, and that joyful magic will evaporate and we will have a long wait until the next Santa season. Lets make our stockings. God bless black Friday at Jo Annes Fabric! They had comfy fleece for $1.49 a yard. We went to Wal-Mart, Toys -R- Us, and Target that morning and nothing was as brutal as all the vicious ladies in the fleece section going bonkers. We picked half a yard of fleece for each Scaff. It was fun picking the prints according to personality. You'll also need some white felt for the cuff. I free handed a basic stocking on paper, but if you want yours super perfect there are loads of free patterns online. Trace, cut, and sew. I just drew a rectangle for the cuff and hot glued it to the stocking after I turned it right side out. Don't forget your little tab for hanging! If you are really loading your stockings you might want to sew in place of hot gluing. I sewed the stocking but I really LOVE my sewing machine and I get kinda hissy about sewing thick materials, crafty and crazy persons problem. Now as you saw above we hung our stockings in a different way, so like the perfect dress this outfit needed some accessories. These were also black Friday finds, with coupons! Even though I would have loved to take 3 hours and paint these perfectly, kids love to help and be included. Since this would be something meaningful to us I wanted it to be made by MY greatest creations. I just put some paint on a paper plate and let those creative fingers do their thing. Nothing makes a kid happier than showing off what they made all by their selves. Even the baby got to paint a bulb in her choice of color; orange. What a cute Christmas Elf. So as I said before; no mantel, no problem! We went adventuring and found this cool branch. A few nails and ribbon to secure it to the wall and some push pins to hang the stockings on, and we ended up with a piece we are all proud of. It is much easier to buy these things, but it is defiantly not cheaper or more special. My kids get such a kick out of explaining whose stocking is which to our visitors, and they take tremendous pride in knowing they helped! Barb, love the stockings and you are making such wonderful memories for your kids! Merry, Merry Christmas! !